Obituary for Pensacola (Johnson) Sampson | Henry Funeral Home, P.A. Pensacola J. Sampson, daughter of the late James Andrew Camper and Annie R. Young Camper was born on October 14, 1922 in Thompsontown, MD. She departed this life on Wednesday, February 6, 2019 at her home in Cambridge, MD. She received her education in the public schools in Dorchester County. When her youngest brother, Leroy started school, Pensa, as she was fondly called by everyone, she insisted she too should go to school because she did not wish to be left at home. So at the age of four, she was enrolled in public school, therefore graduating from high school at the age of sixteen. Having received Christ at an early age, Pensa began her Christian walk at Thompsontown United Methodist Church. Over the years, Pensa was a faith filled believer of God who was an active member of Faith Community United Methodist Church in East New Market, MD for several years. In 1941 Pensa united in Holy Matrimony to Ernest T. Johnson, and from that union three children were born, Herschel, Sylvia and Clevon. In 1945, Pensa began her employment at E.I. Dupont in Seaford, DE. She retired in 1980 after 35 years of service. In 1960, she married the late William Arvalee Sampson. They celebrated a life of happiness for 51 years until his passing in 2011. Pensa and William loved to travel, as is evidenced by their affiliation with the Silver Leaf Club. They traveled extensively throughout the United States. She was a member of Oziel Chapter #23 OES, P.H.A., Cambridge. 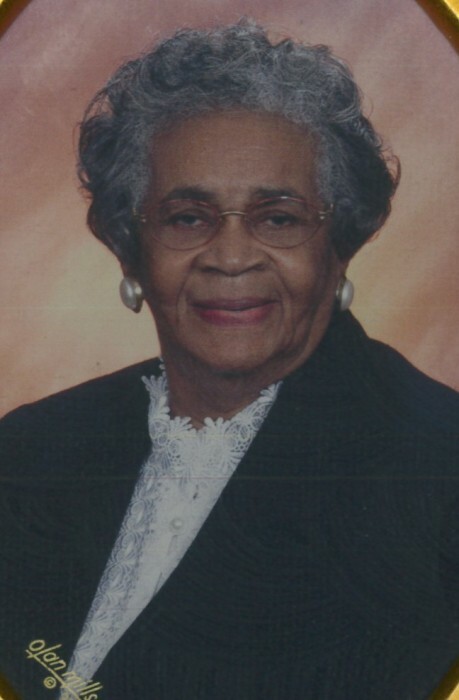 In addition to her parents, she was preceded in death by six brothers: George Othur, Lewis, James, Reese, Leroy Camper and Arvil Jenkins; four sisters: Estella McGrath, Lillian Camper, Myra Stanley and Evelyn Green; a granddaughter, Alicia Dickerson and grandson, Mathias Larnell Johnson. She leaves a legacy of joy, laughter and love to, two sons: Herschel (Dorothy) and Ernest Clevon Johnson; one daughter, Sylvia Dickerson and a young man that she adored as a son, Norman (Lonnie) Outten; eight grandchildren: Demetria Potter (Charles) Hurlock, Timothy Johnson Elkridge, MD, Rodney Johnson Decatur, GA, Jeffery Chester (Tonya) Charlotte, NC, Aprile Crawford (Ainsely) Woodstock, MD, Copeland Johnson (Kimberly) Mt. Juliet, TN, Andrea Bryant Atlanta, GA and Angela Boulden Atlanta, GA ; eighteen great grandchildren; thirteen great great grandchildren; a sister in-law, Barbara Cummings and a host of nieces, nephews, cousins and friends. Pensa will be remembered by a wealth of friends and loved ones that she has known throughout the years. In lieu of flowers, memorial donations can be made to Faith Community United Methodist Church East New Market, Maryland.